Located in the beautiful Grampians region of provincial Victoria, Stawell is located 237 kilometres north-west of Melbourne – approximately a 3 hour drive. 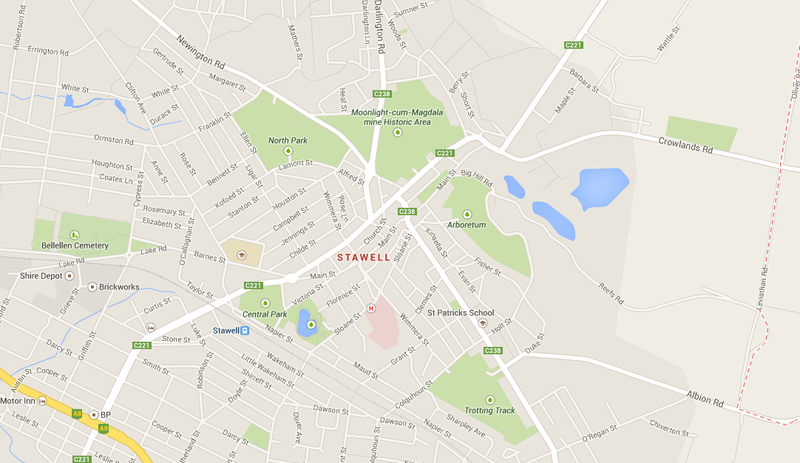 Central Park is located on Main Street in Stawell, approximately 1km from the Western Highway. Ground entry is via the Stawell Athletic Club or via the entry gates on Main and Victoria streets. Seating is available in the grandstands, or many patrons choose to bring their own chairs or picnic rugs. Catering, first aid and public toilets are also available, and free car parking can be found in the surrounding streets. Please note: alcohol cannot be brought into the venue, but can be purchased at the ground. Arrive at Central Park Stawell. This information is provided as a guide only. Travel time from Melbourne CBD is 2 hours and 45 minutes and 2 hours and 50 minutes from Melbourne Airport.